A pompous developer plans to turn the new spirit portal into an amusement park, potentially severing an already tumultuous connection with the spirits. What's more, the triads have realigned and are in a brutal all-out brawl at the city's borders--where hundreds of evacuees have relocated! In order to get through it all, Korra and Asami vow to look out for each other--but first, they've got to get better at being a team and a couple! 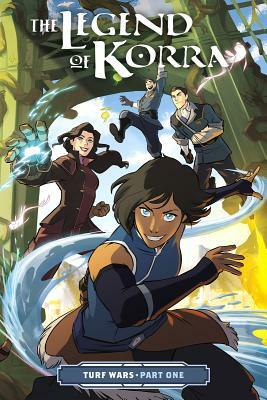 Michael Dante DiMartino is an American animation director best known as the co-creator, executive producer, and story editor of the animated TV series Avatar: The Last Airbender and The Legend of Korra, both on Nickelodeon. He was born in Shelburne, Vermont. He studied at the Rhode Island School of Design with Bryan Konietzko, with whom he created Avatar. Before Avatar, Mike worked for twelve years at Film Roman, helping to direct King of the Hill, Family Guy, and Mission Hill in addition to his own animated short, Atomic Love. The author lives in Santa Monica, CA.